We’d love your help. Let us know what’s wrong with this preview of The Taking of MH370 by Jeff Wise. The most complete and technically informed account to date of what happened to missing Malaysian airliner MH370. 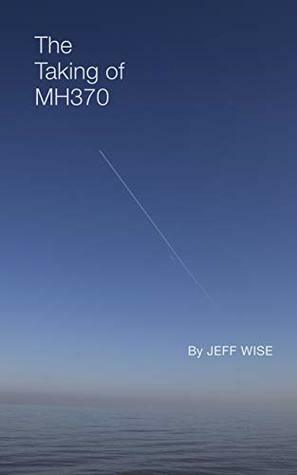 Five years after a state-of-the-art Boeing 777 vanished into the night over the South China Sea, renowned science and aviation author Jeff Wise offers a compelling and detailed account of what happened that night and in the months and years that followed. In his The most complete and technically informed account to date of what happened to missing Malaysian airliner MH370. Five years after a state-of-the-art Boeing 777 vanished into the night over the South China Sea, renowned science and aviation author Jeff Wise offers a compelling and detailed account of what happened that night and in the months and years that followed. In his follow-up to "The Plane That Wasn't There," named the Best Kindle Single of 2015, Wise walks readers through the many developments that have taken place in the meantime and explains why despite spending hundreds of millions of dollars and searching an area of seabed the size of Great Britain, authorities were unable to locage the plane's wreckage. Officials and independent experts were stunned by their failure, but Wise predicted it four years ago. Here he distils the fruits of exhaustive research and arrives at a conclusion that upends our understanding of what humans are capable of, both technologically and morally. To ask other readers questions about The Taking of MH370, please sign up. Possible...but there needs to be more evidence to move from possible to probable. Such a sad event. I feel for the individuals and families who lost loved ones - either from accident or design. So sad. Whether the author proves his point or not he has done a lot of work and it has helped to keep the quest for the truth from disappearing in the night. Fascinating story about MH370. The author does a very good detective work which in the end becomes a conspiracy theory. A theory nevertheless until proven false. A must read for history and aeronautical buffs.